The Ultimate Zombie Apocalypse Survival Vehicle | We Zombie! OK, so you’ve scoped out your zombie apocalypse survival location, you have a packed bug-out bag, now how do you get there? 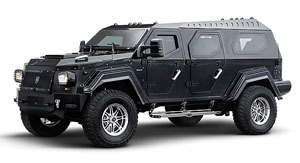 You’ll drive your team in the Knight XV from Conquest Vehicles if you’ve planned ahead. This thing is huge – built on a Freightliner platform chassis, armored from the ground up, weighs eleven and a half tons, and is certified on various ballistic tests. 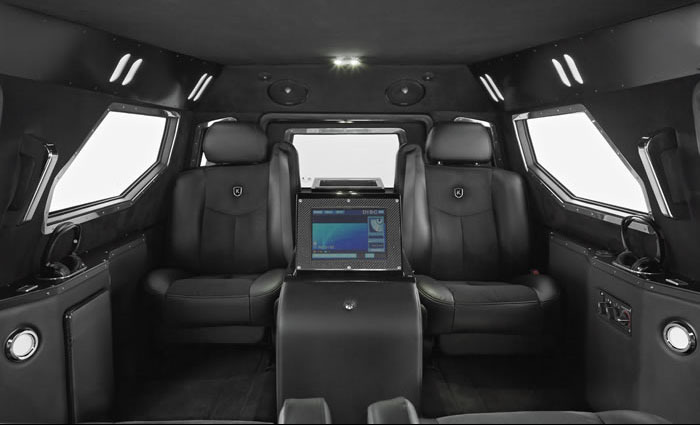 As a bonus, the inside is luxurious, has a 6 way electric cabin and conference area, so you can have up to six on your team. There are dual entertainment centers and options include electrostatic window opaquing, a humidor, flat screen TV, satellite TV, etc. ASC Ballistic run-flat tires and the ability to run on bio-diesel will make sure you get to your secure location. So along with all your planning, plan to start saving your money as these things cost around $300,000 bucks. Hi, I stumbled upon your internet-site via Yahoo and google even while trying to find a comparable matter, your website came way up, seems like beneficial. I have bookmarked so that you can the favourites types|added to book marking. DW745 table saw is known for its light weight and portability. The table saw additionally boasts 8″ treaded pneumatic wheels so, like a fierce, all terrain table saw, the tool confidently maneuvers through difficult jobsite environments. people, because Venezuela was making a fortune selling it to the rest of the world. 35% of US Web-enabled mobile phone owners said they had participated in some form of mobile shopping in 2010 according to a study by E-marketer.